SMS Service is one of the newest and fastest growing types of service because it offers low cost, direct, most personal way of getting in touch, high return on investment, and places promotions and updates in the pockets of potential customers. �AAYO!!! SMS� is our premium SMS service brand name. Communication in these days has to be direct and immediate. Every company should have cut down the time duration to connect with consumers, employee and stakeholders. It is the idea to connect with consumers, employee and stakeholders for a strong communication and create the effective brand value in your company. �AAYO!!! SMS� is an advanced developed SMS service which gives you innovative connection through SMS. People can send SMS to you with your company keyword for any information, updates, feedback and suggestions. Our system gives access to see all the information which comes on your company keywords through web application. The SMS is sent on a shared short code which is identified with your unique keyword. One SMS is automatically forwarded to every SMS senders which are updated by you as per your requirements. �AAYO!!! SMS� is User friendly, secure, instant, uninterrupted and competitive price. Our system is used over an online so no more software installation required. SMS is highly popular among various age groups as it is simple, cool, cost-effective, easy to use, low impact, non-intrusive and high penetration power. Group messaging service is definitely the most personal and effective method of direct marketing. Its potential is just now being fully realized. In today's dynamic and fast-evolving world, it is important to be able to reach your customers anywhere and at any given time. This is a marketing technique that utilizes text messaging � is increasingly being used by education sector, consumer brands, TV and radio stations, entertainers, sports teams, and many other large, national organizations to provide alerts, offers, news, deals, updates, coupons, and other time-sensitive information to their customers, wherever those customers may be. This simple powerful easy to use messaging utility allows the user to create and send Group SMS messages to list of selective contacts or individuals. The Group messaging utility is gaining in popularity with companies finding it a useful and cost effective means of reaching their prospect customers. 8 Send Offers, Discounts, Season�s Greetings, Notifications etc. A mobile application, most commonly referred to simply as an "app," is a type of application software designed to run on a mobile device such as a Smartphone tablet or other portable device. Mobile applications frequently serve to provide users with similar services to those they access on their PCs. Apps are generally small, individual software units with limited function. This use of software has been popularized by Apple store and android market which sells thousands of applications for their products. Mobile applications are designed to educate, entertain, or assist people or consumers in their daily lives. Our mobile application expert team will develop mobile application to connect with your prospect customer. Now mobile has a popular medium to connect with each other so mobile application gives you and your company power to connect with your prospect clients and stakeholders. 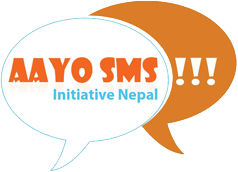 Copyright 2012 Initiative Nepal . All Rights Reserved.